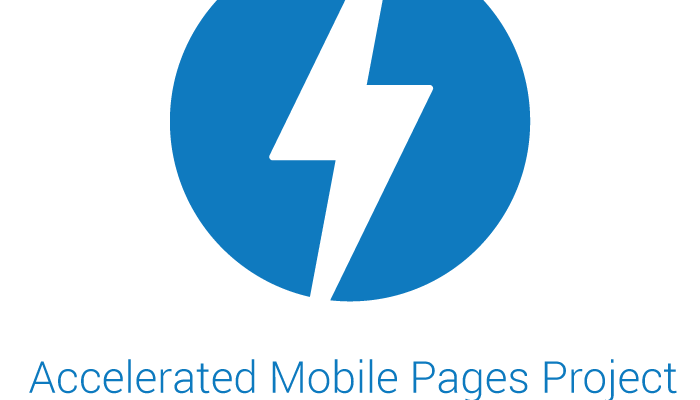 When Google announced that it would back the AMP (Accelerated Mobile Pages) Project last year, it changed the scope of the mobile publishing. With Google now prioritizing AMP listings in its mobile SERPs, AMP has big implications for SEO and has become a digital marketing tool that developers need to be aware of. AMP is specific HTML code that makes mobile websites 4x faster and use less data, and essentially allows for mobile users to access these websites and their information instantly. Its purpose is to improve user experience for the mobile web, as many users abandon pages for being too slow or too cluttered. In Google’s SERPs, by default, AMP pages appear in carousels at the top of the search results. This means they will outperform non-AMP SEO pages. To hammer this home…websites without AMP enabled will automatically get a lower search-engine ranking! Why is AMP important for SEO? Besides that AMP will outperform SEO exclusively, having an AMP page can increase your paid search impressions. Since it is prioritized in Google’s SERPs, AMP content gets more readers because Google aims to help people find these pages more easily, instantly. Next, anyone can utilize AMP. AMP is open source which means improving it can be done by anyone with development knowledge. Fortunately, AMP pages and SEO are not mutually exclusive. Highly SEO optimized AMP pages could be your very own marketing secret weapon, if you can create the right code. This is not to say, however, that having an AMP page comes without challenges. For AMP to work, its HTML needs to be very well constructed, and adhere to the specific AMP HTML structure, in addition to having great keywords. This means that companies will need to budget for web development in combination with content creation. Additionally, AMP does not work as well for ecommerce or retail sites as it does for publishing platforms. This is because AMP uses a very simple code and limits what websites can contain. It is much easier to code simply for publishing platforms than other industries’. What Types of Pages Should be AMP? AMP works best for the mobile pages of publishing companies whose main goal is to provide information. AMP then has big implications for WordPress supported sites and other news organizations because by building AMP pages, these types of websites can easily boost their SERP performance. AMP can be used for any kind of published content including news, videos, blogs, photos, and GIFs. It is much less effective for sites that are more user-interactive, such as retail sites, travel booking sites, or online banking. This is because it is harder to create these sites with this extremely simple HTML code. When Pintrest tried to adopt AMP, it ultimately created AMP pages to convey news about the company and the app, rather than for its sharable content. Still, this hasn’t stopped sites like Ebay from trying to bring AMP to its full site. How do I Set Up an AMP? An AMP is a basic version of HTML that has very specific rules. To create the most effective pages, make two versions of each page you have: an original page for the desktop web and then an AMP version. As this photo indicates, this HTML text is very simple. It will not support conventional java script, and you will need to include special code for videos, social media, and comments. Publishers will also need to reconsider how they present their ads with AMP. AMP ads load after the rest of the content on the page so they don’t disrupt a user or their experience. Ideally, these ads have a special design that allows them to improve user experience and still be easily to analyze. Now that you know more about AMP, you can decide if it is the best way to present your site. Chances are, an AMP platform will show your site to more users and create a better user experience. Since it could show your site and ads to a variety of users, it could cost you more per click. To avoid this and optimize your site and spending, check out our blog post on PPC marketing tips and get the most out of your digital marketing campaigns.